Comparatively how many game has Honda missed to Siem? De Jong has played 13 games in all competitions. Honda has played 10. Zuvela and Tratt at the match yesterday, sitting in the same row, Injured players section? Both seemed in good spirits. Looking forward to seeing them on the the park again. Seems like a breach of the no dickhead policy but Bratten and Schenkenveld would be good business. Back to the 09/10 diamond maybe. Bratten is probably the best local passer of the ball in the league. Schenkenveld would be an awesome signing. Good defender and so quick, which is something the majority of defenders in this league are not, especially pace-wise. Brattan is too inconsistent for mine. Has a brilliant 4-5 games a year and is average for the rest of them, if that. Brattan strikes me as a dickhead, Schenkeveld definitely not though. I’d happily have Schenkeveld but if we’re in the market for a CM then we should go after Hiariej. Bratten- see hair. Also seems to regularly get into verbals and crowd stuff. Bart - I was at this game and it was hilarious but not a great look. To be fair if I scored against them it would much, much worse than running past the bench. 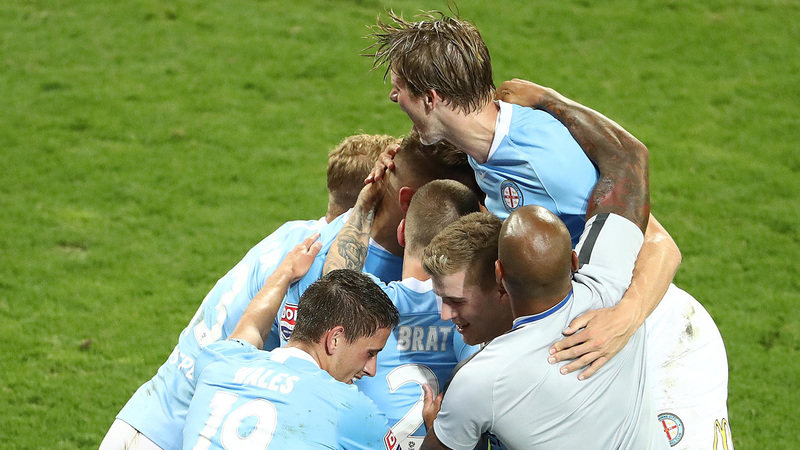 Vedran Janjetovic says Bart Schenkeveld was unprofessional and disrespectful with his celebration in Melbourne City’s 4-3 win over Western Sydney Wanderers last night.